According to fresh reports, Samsung will launch a host of new devices in India this month. 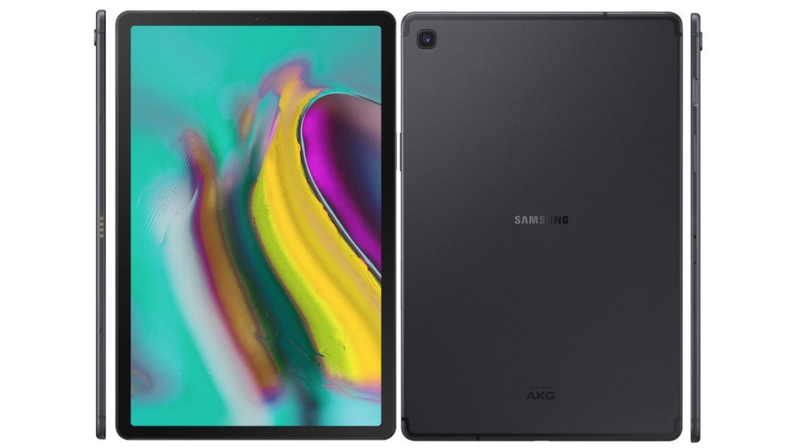 These are expected to be the Galaxy Tab 10.1 and Tab S5e tablets, along with the Galaxy A20 and Galaxy A2 Core smartphones. While previous reports have revealed many details about the latter two, The former two were announced by the company a while back. The Galaxy Tab 10.1 is the latest addition to the company’s tablet range. As it has been announced before, the details about the device are known. The tablet will feature a 10.1 inch IPS LCD display with a resolution of 1920 x 1200 px. 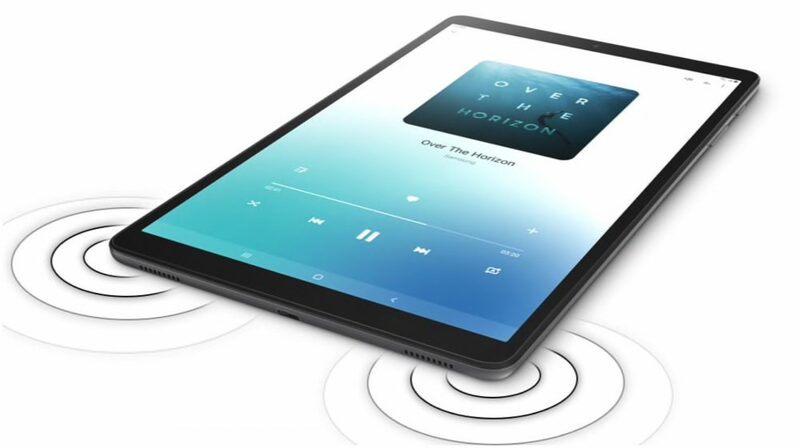 The tablet has considerable bezels around the display, unlike the more premium offering, the Tab S5e. 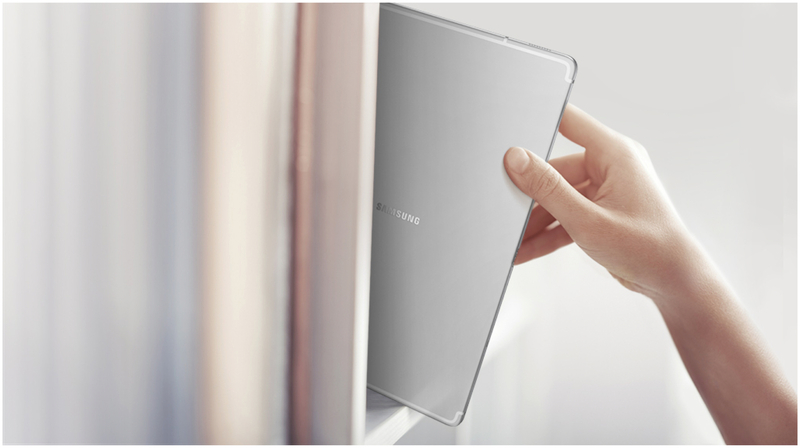 Under the hood, the Samsung Galaxy Tab 10.1 is kitted with an Exynos 7904 octa-core chipset. In terms of optics, the tablet has an 8MP rear camera and a 5MP front-facing camera. Dual speakers with support for Dolby Atmos give the device its audio capabilities. The Galaxy Tab 10.1 is powered by a 6150mAh battery and will run on the company’s latest OneUI on top of current Android 9 Pie. The device has been priced at EUR 219 (Rs. 17,000) for the Wi-Fi version and EUR 269 (Rs. 21,000) for the LTE version in Europe. 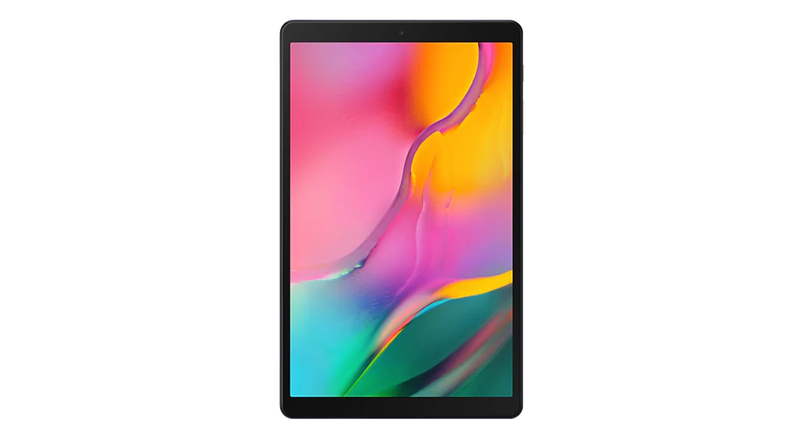 The Galaxy Tab S5e has a modern design with thin bezels around the display and a sleek side profile. On the front of the device sits a 10.5 inch Super AMOLED display that has a 16:10 aspect ratio. The display panel has a resolution of 2560 x 1600 px and a pixel density of 287 ppi. The top bezel of the tablet houses an f/2.0 aperture equipped 8 MP selfie camera. The rear of the Tab S5e is occupied by a 13 MP camera, Samsung branding and AKG logo. AKG is an Austrian company that is famous for its headphones and microphones. The company is now owned by Samsung and the logo behind the Galaxy Tab S5e conveys that the device has admirable audio output. The device can also capture 2160p videos at 30fps from the rear camera and 1080p videos at 30fps from the front shooter. 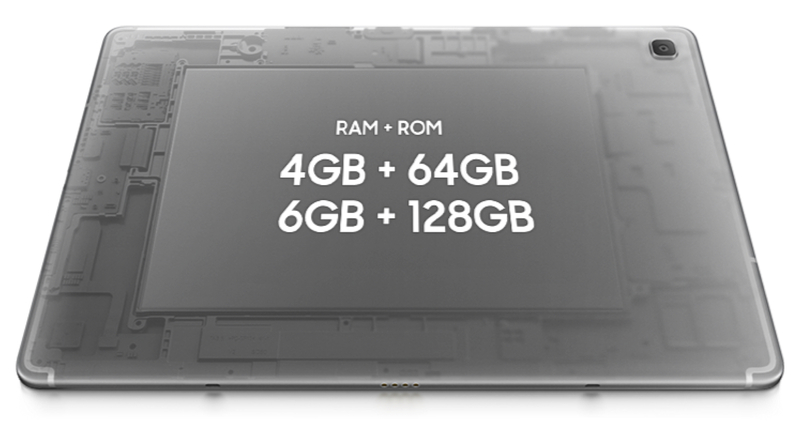 In addition to the inbuilt storage, the device also supports memory expansion up to 512 GB via a microSD card. The Samsung Galaxy Tab S5e is available in three colour options which include Black, Silver and Gold. It is available in both LTE and Non-LTE options for the price of US$ 399.99 (Rs. 28,500) for Wi-Fi and US$ 541 (Rs. 38,600) for the LTE version. 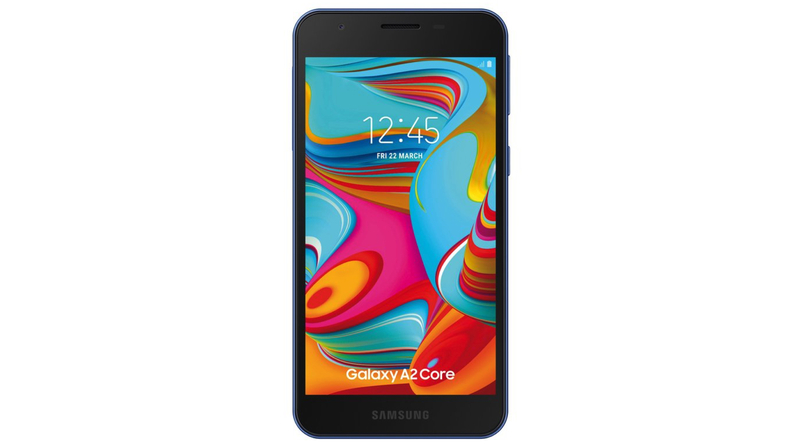 The Samsung Galaxy A2 Core will be the second Android Go device from the company, the first one being the Galaxy J2 Core. A few days ago, a known tipster leaked the images of the device. 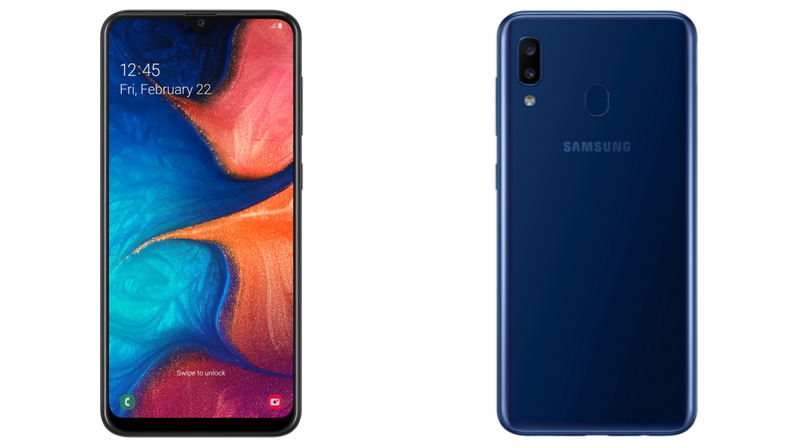 While the previous leaks don’t mention any specifications of the Galaxy A2 Core, a recent listing on CPU benchmarking website Geekbench revealed key specifications of the Galaxy A2 Core. The device runs Android 8.1 Oreo Go edition out of the box and is expected to feature Samsung’s Experience UI on top. The Galaxy A20 features a polycarbonate body with a similar design language to the Galaxy A10 and the Galaxy A30. While the front of the smartphone resembles the former handset, the back is similar to the latter. The device has a 6.4-inch Super AMOLED display with a resolution of 1560 x 720 px. The front has minimal bezels all around the display with a small Infinity-V style waterdrop notch on top. The rear of the smartphone houses a fingerprint sensor which allows it to securely unlocked. Additionally, it also supports face unlock technology. Under the hood, the Galaxy A20 is kitted with the Exynos 7884 SoC which consists of an Octa-core CPU. The device has a dual rear camera setup comprised of a 13MP sensor with an aperture of f/1.9 and a 5MP sensor with an f/2.2 aperture. For selfies, it has an 8MP camera with f/2.0 aperture housed in the notch on top of the display. The smartphone is available with 3GB of RAM and 32GB of internal storage which is further expandable by up to 512GB with microSD support. 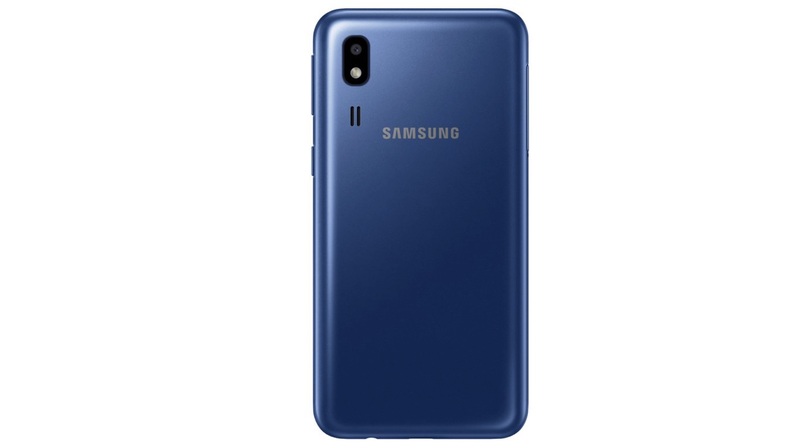 The Galaxy A20 is powered by a 4000mAh battery, which is an upgrade over the 3400mAh found on the Galaxy A10. 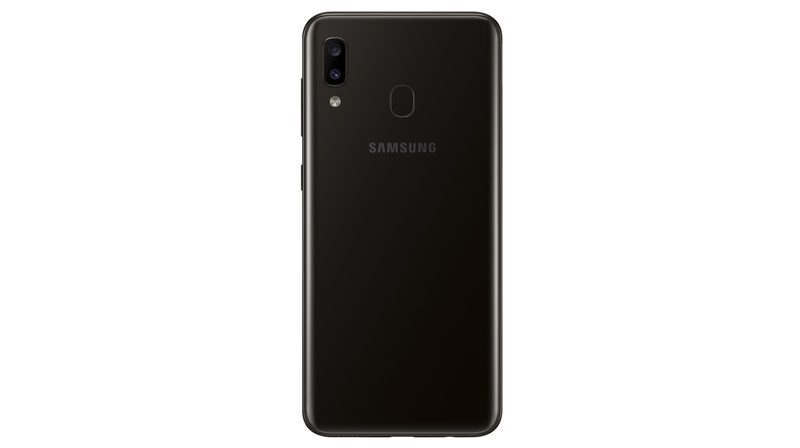 The Galaxy A20 was launched in Russia for the price of RUB 13,990 (Rs. 14,999) which would mean it would be priced similarly in India.